Final game of rather damp season against Warthogs ended in comprehensive victory for the home side. Hoping for improved weather next year ! At last a game of cricket against Berkeley Street team ! No age barriers to this side...LSVCC skippered by 13 year old (OT) and Tony Moss coming out of retirement to play first game for two seasons. AT even tried to persuade new village resident Clive to play as one short, although he politely declined on the basis that he was 89 years old. Have to say he looked a lot fitter than most of us ! Highlights were numerous dropped catches (including AT), Tom Lumley guesting from France and taking 3 fine wickets, but biggest of all was 4 wicket haul from Noel Middleton who also guided the team over winning line with his bat. Hoppy turned up late after fixing combine harvester (don't know why they don't do that in winter), but at end of day was only required to collect match fees. Comfortable win for LSVCC, and trophy happily accepted by AT....we look forward to return down at Great Staughton in a few weeks ! Special thanks as always to K and M at The Crown for unrivalled refreshment, and also to my wife, children, and friends, for making my 50th birthday so much fun. Even better, Olly Thrasher away on U13 county duty, was man of the match as he captained Northants to comfortable victory against Norfolk. CHURCH versus VILLAGE Ashes next week ! I'm now so lazy that we borrow match reports from opposition sites...but LP don't really count as they are soulmates and I'm sure won't mind ! Hail to the new season or just, hail, the weather? 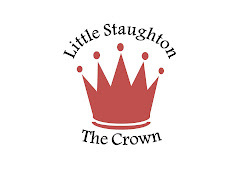 Hail to the 2012 season, hail to a 4th season of cricket in Little Paxton with the prospect of matches against some familiar faces – none more so than Little Staughton Village Cricket Club – our erstwhile barometer of performance and most importantly enjoyment. Team wise Paxton assembled a motley crew – again – a mixture of guile, experience, enthusiasm – with a very slight dash of youth. LSVCC lined up with two County players and their full throttle of main players – more later! Still at least the Amazonian rainforest that surrounded the car park had been cleared – although now the way was clear for any cricket ball of note to strike the parked cars. Senhor Huttly noted all the decent (i.e. safe) car parking spots were well and truly taken. 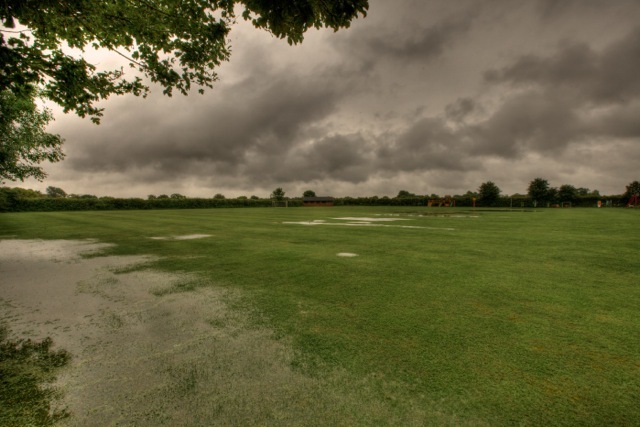 LSVCC were already 10 overs into their innings with two interruptions for foul weather (never!) when reporting begins… also note there is no scorebook to recite from at this time!! – with 44 on the board and no wickets down. Finding Ollie and Jody still waiting to bat did not augre well! Mysteriously the home side tracked the late arrival with the promise of beer and, just to detain further, ensured that Adrian T was out and therefore available to catch up on even more matters. 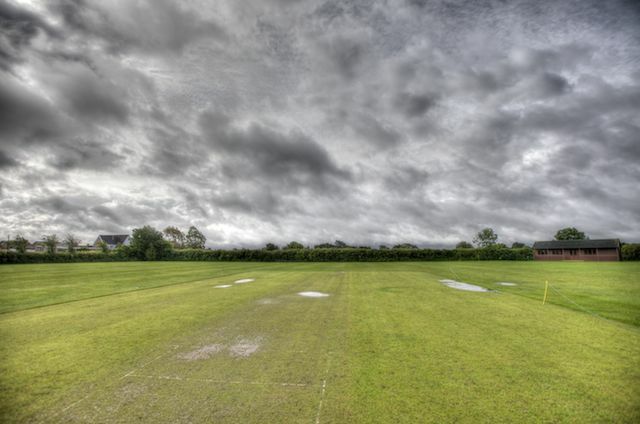 Burkey enquired whether Paxton were going to be upto full strength some time this decade at which point the full force of the British spring unleashed itself as a bitter rainstorm drove across the pitch again. LSVCC were busy accumulating runs despite the precious wicket of Ollie – derived from a belter of a ball from James O – which didn’t play ball. 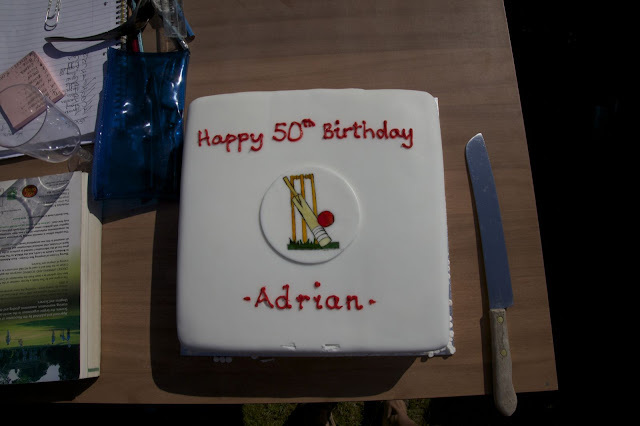 However Jody took early doors in the sixes stakes and pummelled a well deserved half century. As the innings reached a frenetic conclusion Chris B chipped in with a few wickets courtesy of some outlandish stumpings from Dave Perry (to make up for the outlandish futile dives for catches!). Andy King popped up to take a well deserved wicket as LSVCC finished on 174 off 30 overs. Tea coincided with an almighty downpour as hail prevailed. Pork pies and delicious home make cakes didn’t distract. LPCC opened with Mike K and Burkey. The LSVCC bowlers struggled to find any footing but agreed to play on. Mike K slowly but surely took the bowling apart and, together with Chris B, who played some terrific ground strokes, (Mike was busy pummelling the ball beyond the hedges!) took Paxton comfortably towards the total. A result looked assured as Mike reached his second century for the club and correctly gave way to spend time with his boys – who had fortunately survived an aerial assault from Chris! However Paxton had other ideas and, in rapid succession, JP, Dave P, Tim and Andy K departed – mostly as a result of the mud patch that the wicket had turned into. James O got one that rolled on the ground and so it remained that El Senhor and Lee were left to chase down what now looked a daunting score. Lee tickled a no ball that should have provided an extra run – he tells me that the direct hit was unbelievable – unfortunately he was viewing from outside the crease! With 4 to win – Mike donned the pads again and, on cue, the hail returned with a vengeance. With 3 to win off the last over LSVCC captain James H agreed to continue and somehow LPCC won through. A great game, in frankly, awful conditions – as usual our hosts were terrific – their county players, by the way, were 11 and they both the undoing of our side – but they bowled beautifully and will go on to credit the game of cricket – well played Olly and Ed. A start – and as always – a very friendly side to play. The league starts next week – you will remember this weekend with fondness!!!!! For the 5th consecutive year since being refounded, LSVCC is running weekly junior cricket coaching sessions throughout the summer months. Jem Price and Rory Richards are kindly helping with coaching this year. 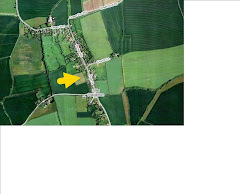 As with last year, there is a charge of £10 per family (cheques please payable to Little Staughton Village Cricket Club). We hope parents will understand that this contributes towards annual costs of essential insurance, equipment and prizes. Please could parents/carers complete a membership form and return it with their remittance to Richard or Roy. The club policy on Safeguarding Children and Child Protection is on the club website. Whilst we look forward to a busy season, occasionally it is necessary to cancel a session unexpectedly due to adverse weather etc. In that circumstance, it is our intention to contact parents/carers by text message as soon as possible. Notes of last meeting and matters arising. To be followed by prize giving.